On the intervention of the Producers’ Council and Nadigar Sangam, the tiff between director Venkat Prabhu and Sona has come to an end. Actress Sona, once a friend of director Venkat Prabhu, had alleged some time ago that she had paid Rs. 1.5 crores as salary to the director to direct a film for her production house, Unique Productions. Sona began planning the film, but for some reason, it never went on the floors, and then Sona had alleged that the director never returned the amount. But according to sources, the director has paid most of it back in 2011, though Sona said she had incurred further losses. Following this, she had filed a complaint at the Producers’ Council and Nadigar Sangam. Taking action on this complaint, the Producers’ Council has ordered Venkat Prabhu to return Rs. 1 crore within May and the rest soon. A source in the know says, "Venkat Prabhu, who has paid back most of the advance amount, has now promised the actress-producer that he will compensate her for the losses in a suitable manner." While both Venkat and Sona could not be reached for a comment, the source told us, "Recently, a meeting was held between the concerned parties in the presence of TFPC president Kalaipuli S Dhanu, and the Nadigar Sangam president, Sarath Kumar, where the issue was sorted out in an amicable way. 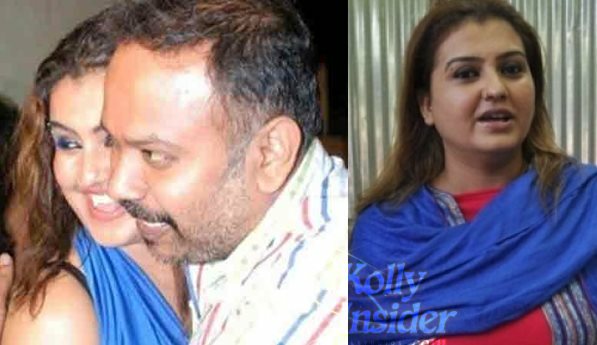 Sona had approached the council to ensure that she got back compensation for the loss she had suffered by planning the project thinking Venkat Prabhu will direct it." However, now, it looks like, the concerned parties have come to an understanding and the tiff between the two has been settled amicably.